I even counted the lines and predicted that he would finish it in two weeks inshaaAllah. Well, I guess we’ll cross that bridge when we come to it. As he is turning 7 soon inshaaAllah, I will ask him to choose between Zuhr and Asr, which one he wants to commit to. This was how I introduced salat to the older kids. When S turned 7, I asked her to choose between zuhr and asr, and whatever she chose, she will have comitted to it even if she is sick, which is a good practical lesson in how to make salat when you are sick and best of all, it teaches them commitment. I like this method so far, because it is gradual and they learn to commit to one salat at a time and not all 5, and they learn to hopefully perfect it, learn what to recite in the different positions, know the details of the salat they are committing to, before adding the next one, in about a few months. By the time they turn 10 inshaaAllah, they would then committed to all 5 salawaat. With the older kids, it worked. While we were traveling, they also still had to pray and so they learned how to pray when traveling. With Z, I’m focusing or have been focusing on him perfecting each position and he has perfected the iftiraash, and tawarru3, and his sujud and ruku and even getting up from ruku and going into sujud. Soon, I plan to introduce him to what to say in ruku and sujud. Short ones and then hopefully, by April, he would have at least know how to pray with the pillars. Tashahud usually comes in a bit later. We had gone to Dallas, and I had talked with a sister who took Dream and her two teenagers, age 17 and 15 are now TA for the Dream program mashaaAllah! On the drive home, hubs and I talked about the possibility of signing up S for the sisters public speaking workshop with Qalam Institute, and H for the Dream program, whether we move there or not. I really hope we can attend S’ graduation this June …inshaaAllah! I also have to start calling the local CC asking about what is needed for S to enroll. She will inshaaAllah finish AlHuda this June and then she will plunge full force into finishing her high school. May Allah make it easy ameen! As for N, it seems that I need to work very closely with her all the way and make sure she’s on top of her work. I don’t like doing this, but what can I do? May Allah make it easy ameen! I also have full hope that inshaaAllah with our regular post fajr session on Ustadh Nouman’s Tafseer and Arabic with Hosna, that we would really benefit from it. There were times when I was about to give up because I felt like despite us doing it every day and regularly, it wasn’t entering our hearts. But as I asked the kids survey questions, I sensed that those tafseer sessions do help. And it made me feel like haa..shaytaan is working to get us off that track maybe, making me feel hopeless. So the thing to do is to just keep doing it and make crazy dua Allah puts barakah in it. For Hosna, I really do hope we get ouf ot it what he Dream students get out of Dream, except I still do want to attend Dream or the part time one, and send H to the full time one. InshaaAllah. I wish I can do Arabic with Z. I am VERY poor at doing this with the kids when they’re young. Seriously. If I master Arabic myself, maybe, but the reality is, I don’t. Argh. I’m very bad at trying it since even with Malay, we’ve been very bad with speaking it with the kids, even though we have a second chance with Z since he is still young. My God. May Allah make it easy, Ameen. I have yet to sit down with N and come up with her hifdh revision schedule. May Allah make it easy ameen! S is back volunteering teaching at Sunday school. Her horse therapy volunteer sessions hasn’t resumed yet so far. And our girls youth halaqa has been going on strong alhamdulillah. I plan to have S fully handle a few sessions on her own with my supervision inshaaAllah. We all woke up around 3 am and sent Jdd off at the airport, and when we got back home, Z went back to sleep, not believing it was morning. He kept insisting it was night time because the sky was still dark. Hubs went to Fajr and straight to work, while the rest of us started our school day. We read Tthe Little Mouse, The Red-Ripe Strawberry and the Big Hungry Bear. I had been doing work and when he woke up, he did his calendar notebook and then I had promised to read a few books to him, so I read this quickly and then napped, because I had 3 classes almost back to back on Wednesdays. He mostly did his worksheets on his own, mashaaAllah. He also added this book to his Reading List in the Calendar Notebook. I’m planning on doing some adjective-finding activity with him on this book, so we need to revisit it later inshaaAllah. He did his Calendar Notebook, and then I read There Was A Coyote Who Swallowed a Flea. This book is good for sequencing. And this is what I found, which is pretty nice except for the ending part, but at least now he knows what a flea is! Oh yes, Z claimed that Hubs taught him how to make dollars with quarters using his file folder game. He wanted to do it with me but I was about to have class at that time, so I told him to do it with hubs. I don’t know if hubs actually taught him, but that’s my next plan to work with Z inshaaAllah. “Ok, try your best then,” I said. Then he made iqaamah and prayed zuhr with us and he read his 3 lines of abata, recited Al feel, Al Kauthar, An Nasr, Al Quraysh, and Al kaafiroon to me and then we reviewed al Maun which he had forgotten. I focused on correcting his vowelization and explained to him that when pronouncing dhad, the tongue elongates like one of those long skinny balloons. But it looks like his writing has improved a LOT alhamdulillah! I remember how painstakingly I had to sit there and coach him on making them all the same height and on top or between the lines. Alhamdulilah now he’s doing pretty good. Last week on Friday, or Thursday, we did do significant work too. We went over Ella Takes the Cake and looked for all the contractions in that book. When he found them, I’d write them on a small whiteboard and ask him what that is expanded. That was a pretty good exercise for him. He has also been doing drilling on subtraction and addition and he loves it when we do this on that small whiteboard. It saves paper too! Just uses ink though. Today felt like a very long day. Z woke up very late because they probably slept very late last night. I spent hours with N, doing her comprehensive assist for Sarah Bishop. I admittedly do not like this session at all, but she needs it and it’s my responsibility. Sigh, things that you still have to do even though you don’t like doing it. I also had her do her work in my presence since she has an issue of not completing her work, though I did notice sincere and eager effort to rectify that after I gave her my all Sunday night when I realized she didn’t hand in her Home2Teach homework on Friday. That was chest-hurting and head-hurting for me. This must not be good for my health, nor her well being. Z did his calendar, and gave me troubles with refusing to eat his oatmeal and being picky about food. If it’s one thing I truly abhor in my heart, it’s picky eaters. Especially so if they happen to be MY children. He did his worksheets in the Calendar Notebook and some of them are the First Grade word sheets where he also has to make up a sentence with the word he’s rewriting again and again. I was still working with N on her Sarah Bishop and Z was asking me to help him form a sentence and I told him he cannot say “I don’t know,” anymore and to just try to come up with a sentence and then I ignored him and just went on working with N. A while later, I noticed on those pages of his, he had written the sentences himself! I made sure I pointed that out to him and commended him for it. Allahu Akbar! Alhamdulillah! Ya Aleemul Hakeem, please make him like his namesake, make him of the raasikhoona fil ilm, of the mukhliseen! “Oh no! I didn’t! Can you end it for me?” And he tech-savvily did! LOL. Apparently, the boy has been observing and making his own conclusions! Well, N is doing Algebra 1. H has started with Algebra 2, using Teaching Textbook, grudgingly since I told him to look out for MUS ALgebra 2 on vegsource everyday and he couldn’t find it before Jan2014. Our agreement was that if he couldn’t find it by Jan 2014, he will be using TT, because I cannot be bothered to peruse vegsource everyday and look for it when he can. S should be done with her TQ this June inshaaAllah. All the older kids finished their Biology lab report during the break and N has been reciting to me after Zuhr and Z also has been picking up again on his daily IQRA reading and surah, though for his surah, it’s been going slow. It’s ok. Better slow and steady than fast and furious. Literally. With Z, I’ve been working with him on reading terms like author, problem, resolution, beginning, middle, end and have been using some simple book report forms from TPT. For math, I’m focusing on drilling him now and he’s improved a lot on doing subtraction. 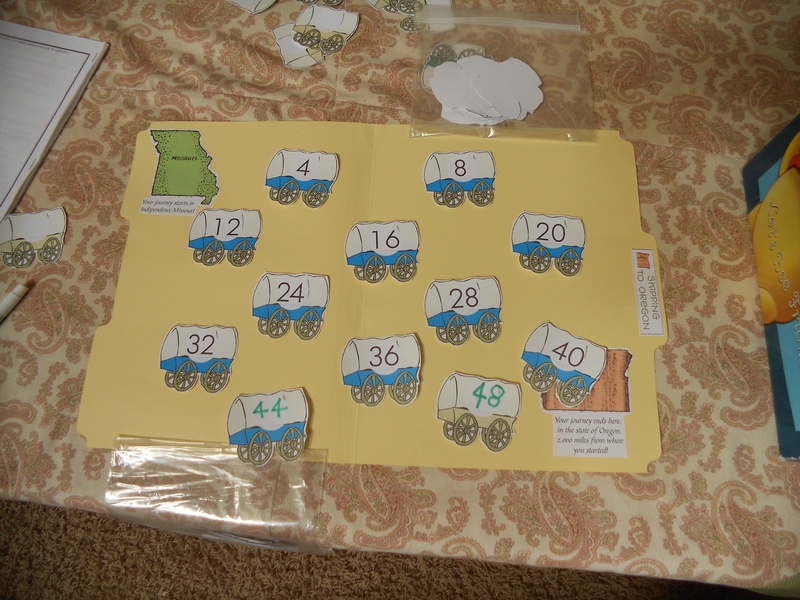 I also introduced Place Value to him using the TPT activity which I made into a file folder game. For 2014 calendar notebook, he didn’t want it to be the same as last year’s, so what I did was to put one worksheet per day instead of the typical daily work like in last year’s calendar. I also added a reading list for each month and so far, he’s been filling it up every time we read a book. 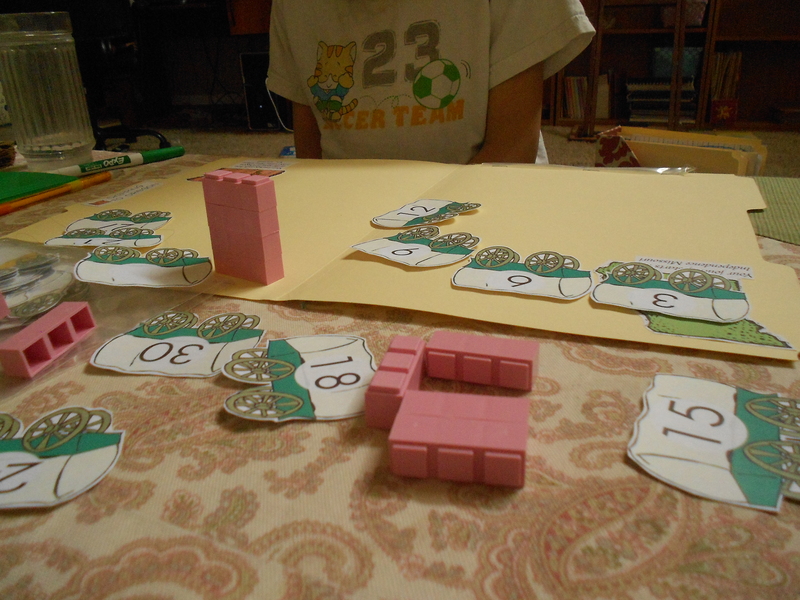 I plan to up his math drill before we go into regrouping inshaaAllah. Today, we read Ella Takes the Cake, which he read all by himself, somewhat reluctantly, but he got through it alhamdulillah! We also read Yucky Worms, and now, I stop and ask him to see how much he comprehends. He seems to have pretty good emotional intelligence, like N, but in terms of retainment of information, it’s pretty weak. He’d always say “I don’t know.” Then I’d have to ask again and sometimes show the answer in the passage and then he’d get it. 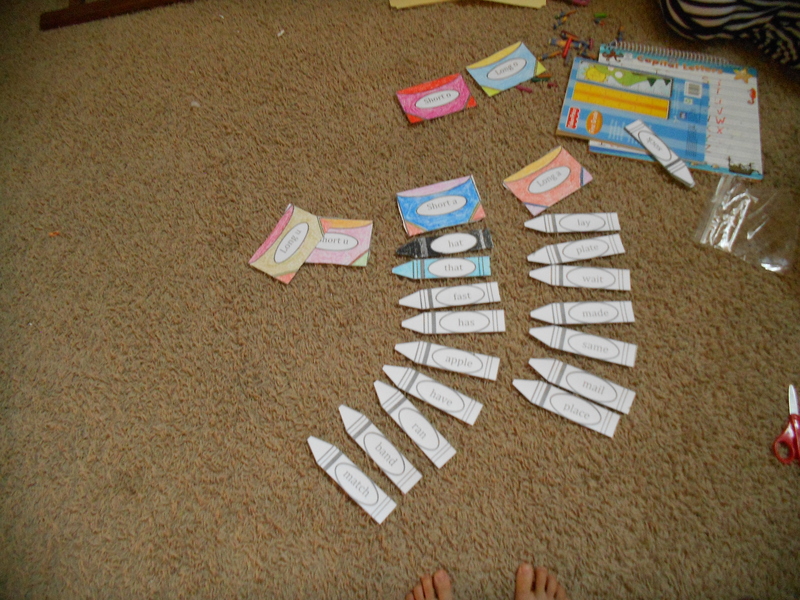 I plan to extend those readings into finding contractions in Ella Takes the Cake and in filling out a book report form that asks 3 interesting facts and 3 new things learned for Yuck y Worms. I also showed him a youtube video of a drawbridge after he finished reading Ella takes the Cake. Today is my busiest day but alhamdulillah I feel like we accomplished quality this morning. I had him do his work in my room while I was in class. He’s also doing Arabic vocab copywork everyday now and I’d give him a star on the neatest written word. I do worry about his information retainment and have a feeling like he might have the same issues as N. I hope not. InshaaAllah I hope those issues are addressed now so he doesn’t face as much difficulties as N is facing right now. By end of this semester, I hope to significantly increase him in his narrative comprehension and retainment of exposition, have him learn addition and subtracting with regrouping, money with dollars, getting used to doing simple book reports, more fluent in his IQRA and better and more consistent with his surah, and I want him to know the meanings too. With the older kids, I hope to do more of Stossel’s video streaming, especially good for critical thinking and for N’s exposition comprehension. May Allah put barakah in all of this ameen! And we have been watchng Salahuddin in Arabic, with the hopes that it would expose us to the Arabic more and be forced to learn and pick it up at least, especially for Zeyd. This happened after I came back home gushing with how Ust Nouman uses Salahuddin in his Bayyinah class to show sarf with some words. Before this we were watching Umar series, and after it was done, we were missing watching something together. Salahuddin, we already watched it too, but Z is the one who keeps insisting on it now. Alhamdulillah. At least for the Arabic. We had gone to Houston to attend Fiqh of Chilling and studied together for the exam. Of all the kids, S got the highest score. They enjoyed the class. I have run out of space on this blog, probably due to the high resolution photos I’ve been uploading. So I will have to make a DOOL 3 now. In terms of what Ive been doing with Z, it has mostly been recovering his long period of not reading his IQRA and surah. I had to get him back in the routine and now alhamdulillah, at least he’s not resisting it. One technique did work though, in getting him not to dawdle, though doing this on a daily basis proves to be quite challenging. I was so frustrated because he was taking so long to read just 1 line when reading his IQRA that I decided to use a timer and see if having him beat the timer would make him go faster. Yes it did! In fact, I timed him and gave him worksheets to do which had addition problems and even some spelling and short vowels exercises, and he did them quite quickly! But, this wore off after about a week. Now, I have trouble getting him to do work again. I have to be honest and say that this is the thing I hate about homeschooling, that you have a lot of other things to do too, and you have to deal with individual personality issues such as these. If I sit with him and coax him to write his copywork nicely, it works, but after a while, I lose the patience to do this subhanallah. There are just some days where I really do not want to do this anymore. Really. Sigh. With him, we’ve done Verb, Adjective, and Nouns and I had a hard time teaching him this because he resisted. He seems to resist when things get hard. S was like this too, and oh my god, it’s so frustrating and aggravating! So I had to devise other ways of doing it so that he would participate and this basically involved a lot of sense of humor. I read him a book, A Big Boy Now by Megan Spinelli, and I asked him to pick verbs and nouns from it. Initially, of course he didn’t want to do it, but I coaxed him again and we went page by page. What I did was I wrote the words on a small whiteboard on my lap as he said them in two separate columns. Then, I asked him to pick 3 favorite verbs and 3 favorite nouns. Then we practiced making sentences with them. We took turns and I modeled for him how to make sentences. He doesn’t like to do this and I feel it’s because he doesn’t know how to. So this technique worked alhamdulillah. We even had a lot of fun with it. and he would answer. Like this, it went back and forth, but alhamdulillah, I’m happy he has taken to verb, noun and adjectives. 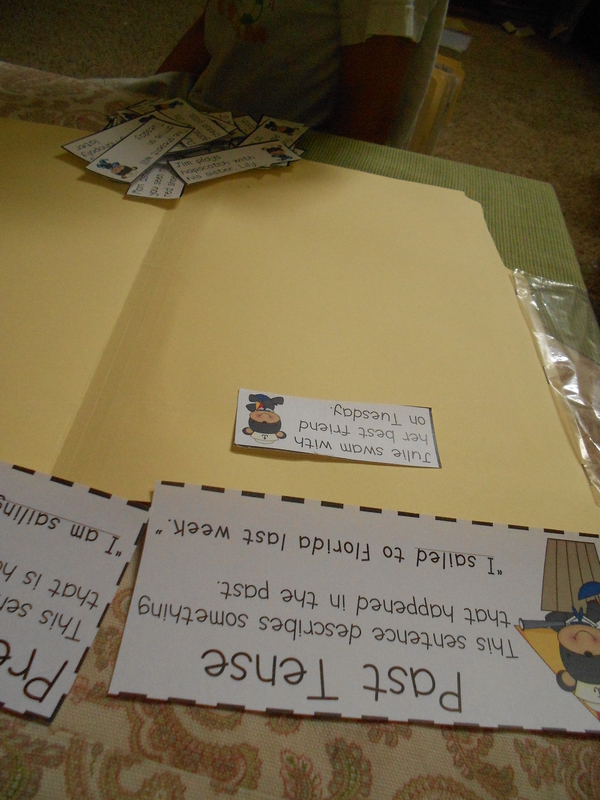 This propelled me to look for other activities on TPT and I printed some on narrative comprehension. I started him doing some very simple book reports too from the TPT, and this has practice in making sentences, noting Beginning, Middle and End, knowing simple terms such as author, illustrator, character, problem, resolution. 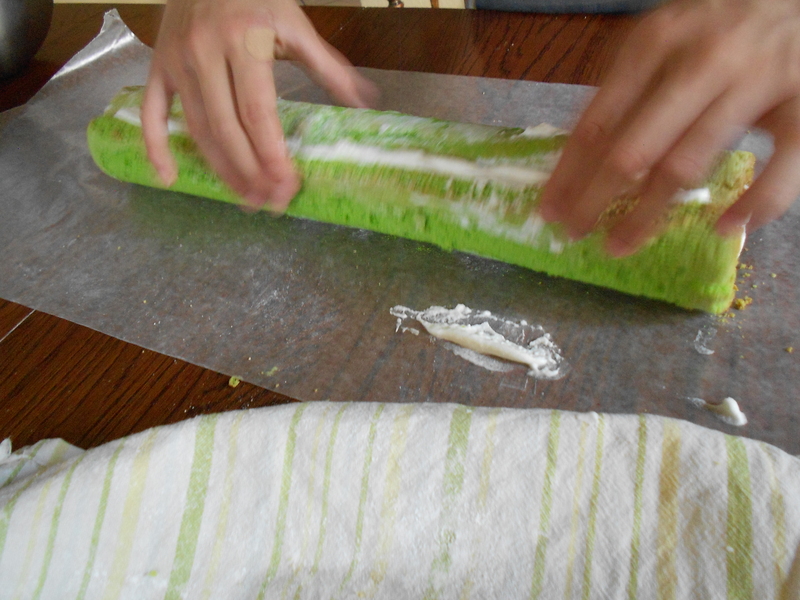 In fact, this morning, I did the Problem and Solution activity with him, which he did pretty well in. We also talked about the story of the Three Little Pigs (he loves this story) and we tried to figure out the problems and solutions in this story. He needed some prompting and so I think this was a good introduction to the Problem-Solution lesson. And it seemed to engage him in a way that is not too intrusive to the enjoyment of the reading. So I think this is what I have to keep doing whenever I read to him. For math, we have gone into fact families. I introduced it by using this Fact Family Puzzle from TPT. Initially he resisted but as soon as he saw the pattern, he was on a roll alhamdulillah. I also did this activity with him for reinforcement and had to point out that for the minus sentence, the biggest number has to be at the very front. And showing him how it switches also helps a lot for the addends. Since he loves playing with the Monster Making 10 game, I also used it to show fact families by selecting 3 number and making a family of it. He loved it when I personalized the monsters especially as ‘Poop’. I think he’s ok with that now, though he did get a bit lost when I gave him a worksheet on fact family. and a look of recognition flashed on his face and he wrote ‘he’s’ all by himself. I had pointed out the differences between apostrophes and commas when we were doing the contraction activities. 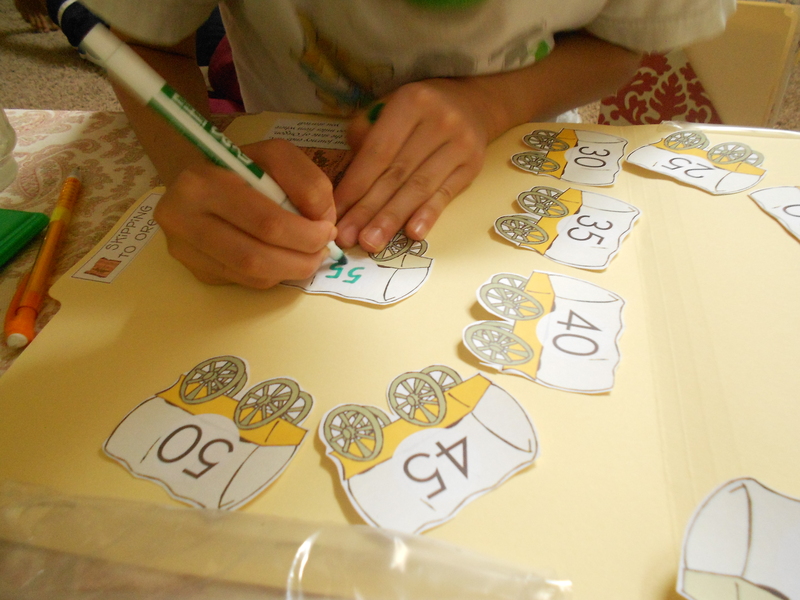 We also did Place Value by using this activity from TPT. He’s also been doing Arabic writing now on a daily basis. We use the cards that I received for free, it’s vocab cards. And so we choose one word per day and I demonstrate how to write the word and he completes the page in his writing book. For copywork, I have him do sentences from Talibideen Jr’s website (can’t find the exact link). For tajweed, I’ve been a bit harder on him and my Quran teacher also advised me to keep correcting him and to constantly do this, even if I think he can’t do it. So, this has been something I’ve been doing too and alhamdulillah it works! I am feeling the burden too…subhanallah..and with N, since I’ve been dealing with her all these years, I have a really short fuse when she comes with attitude problems. And this is a problem for me and for her. Sigh. May Allah help us. Ameen. S received her PSAT scores. She did better than last time but not enough to get the merit scholarship. Alhamdulillah ala kulli 7aal. H is doing a MOOC class on computer science now. He insists on wanting to use MUS for Algebra 2 and I really want them all to use Teaching Textbook because in the case that they don’t know how to do something, TT comes with solution CDs; something that makes my job so much easier. So I told him to look on vegsource everyday and by January 2014, if he can’t find it, he will use TT. I am tired of having to do so many things. I’m putting the responsibility on him. I’m feeling really overwhelmed, really overwhelmed subhanallah. The thing is, I don’t feel like I want to do this anymore, this homeschooling business even though I believe in it….especially seeing as how taxing it is to work with Z and N, and thinking that I have to do this for how many more years….I don’t know if I can do it. So it has probably been about a month or more since I abandoned this blog. I went to hajj, and alhamdulillah we came back about 3+ weeks ago. The kids took pretty good care of themselves. The older ones did their chores and cooked and cleaned by themselves, took care of Z and did a really good job mashaaAllah. 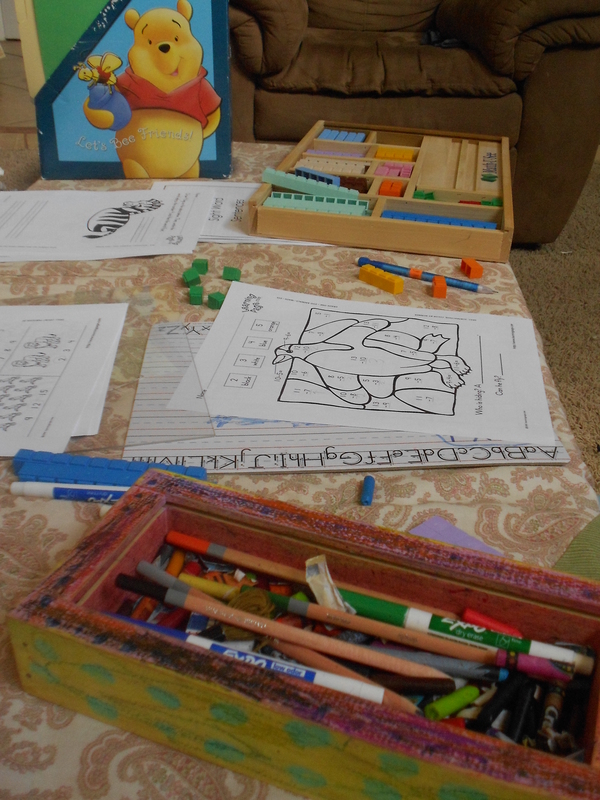 I am resuming homeschooling and mostly I’ve been working with Z and N. I’ve been visiting Teacher Pay Teachers and getting free downloads and using them as teaching materials for Z. Z loves the Monster Making 10 game and in one day, I introduced it to him, and he continued playing it with H and me throughout the day until nighttime, and by then I think he’s gotten pretty quick at doing mental addition that makes 10. He doesn’t really like to do copywork so far, so this has been testing my patience with him. Getting him to do it is a struggle. Some days are better where he’s cooperative but some are not. He l ikes doing math worksheets though, so that’s easy so far alhamdulillah. I am working to get him to do more intensive copywork so he can get really comfortable with writing inshaaAllah. We also did some measuring, and compound words, and forming sentences. Just today, we also learned about Producers, Consumers, and Decomposers, which happened quite accidentally really. But we went on this website and I just started teaching him those concepts on the spot. He did pretty good. Actually, it all started weeks back when he was working on the Learning Page worksheets had printed ages ago, and it was asking abotu omnivore and herbivores, carnivores. So I took out the old animal printouts I had done for the older kids when they were younger, and we just went over each animal and looked at whether it was classified as herbivore, omnivore, carnivore. He began to understand what each meant. I also looked for activities/worksheets on this on TeachersPayTeachers. And today, we had done a Verb-Adjective activity that I also got from TPT, and it featurd spiders, so then we started talking about it being a carnivore, and so while he was writing down the words on his sheet, I looked for an online game on this and found this. We staretd playing and so we even learned about food chain, producers, consumers, and decomposers. Good productive morning alhamdulillah! Mostly I explained to him a little bit, and I could see that his attention span was not that long, so we moved on to the game and I think he learned more as he was doing the games. We read some books too from the library, but I was sick for two weeks after coming back from hajj, so I didn’t really have the energy to read much to him let alone document the books or make a blog post about them, so…I don’t remember the books. As for the older kids, H just started a MOOC course on Making your own search Engine, and N is on a new routine that is more supervised by moi. Everytime we make a deal on her being more organized and disciplined, it fails. So, I decided to just check in with her everyday and make sure she is doing what she is supposed to do because the technique of leaving her to her own devises doesn’t work. We recently watched John Stossel’s clip on Is College Worth It? And I assigned an essay assignment for S based on that discussion. I intend on using Stossel In The Classroom for the older kids. As for Arabic With Husna, we’re still moving on alhamdulillah, almost finishing Unit 3, but going slow is good for this one, because Bayyinah TV uploads of Arabic With Husna can be slow for us if we move at a faster pace. So we’re taking our time with this inshaaAllah. I recently asked N to make flash cards for the sarf families too, because to be honest, I don’t really memorize them strongly by heart. N, surprisingly was pretty accountable for her therapy sessions, according to her therapist, while I was gone. However, she abandoned her math, and Biology homeworks, so she has been making up for her math and starting today she is supposed to be making up her Bio homework too. She also pretty much abandoned her hifdh and so we revamped her schedule for that one. Her issue is really discipline and willpower and perseverance. S took her PSAT just before we came back from Hajj. A friend helped dropped and picked her up from the high school. The girls were continuously volunteering at the masjid for Sunday school, at the soup kitchen, and for S, at the horse therapy, and last Sunday, S went to volunteer with Jn, for the Boys and Girls Club. My daily schedule now differs from my daily schedule years back. Now, most of homeschooling for me is basically working with Z and N and H in the morning after Fajr. I have online classes that I take and teach scattered throughout the weekdays, so I organize my homeschooling schedule based on that. Usually, after fajr, on Mondays and Wednesdays, we listen to Nouman’s Tafseer of Juz Amma for about half an hour. Then we watch CNNStudentnews and then have breakfast. On Tuesdays and Thursdays, we watch Arabic with Husna from Bayyinah TV after Fajr and then CnnStudentNews. On Fridays after Fajr, we listen to Quran Cover to Cover on whatever surah we are in (I base this on Surah that H has memorized. It’s more for him). After breakfast, the older kids do their work, and I work with Z till about lunch time. This will differ based on if I have classes in the morning, which I do on Mondays and Wednesdays and Fridays. So on these days, I would work with Z after I finish my classes. On Friday though, my class in the morning is from 9-11am, so I usually end up not doing anything with him. If I don’t really do anything with him, I at least try to read with him. If not, I let him play games on the computer that would help him with language, math, or watch Reading Rainbow. Ideally, after Zuhr, I would listen to N recite a page of Quran, and Z read his IQRA and do his hifdh. But I haven’t had the patience to do this with him lately as things have gotten rather chaotic. But usually, I don’t like to do school after lunch. I work better in the morning and I like doing things in the morning. I have always urged the kids to finish their work by noon, so it really drives me nuts when some of them choose to dilly dally and take a lot of breaks in between and end up still doing their school work in the evening close to bedtime. Now that they’re older I find that personal choices of their like these drive me crazy, especially when being late like that affects my schedule (as in having to mark their essays/work in the weekends). Sure, I give them deadlines, I give them consequences but subhanallah….they still do it. But anyway…I did enjoy homeschooling them when they were younger. Now that they’re older, things get more serious and I end up being more strict because of their future, and it can be a bit stressful even though I do get excited when I see their prospects and potential. Ya Allah, please don’t let me fail these years! Back to scheduling, my Quran teacher gave me an advice which makes a LOT of sense to me. She said that schedules are made as a rough guideline but it’s almost impossible to follow a schedule to the dot, without getting stressed out. So take it easy. A schedule is to guide you so you know what you need to get done in a day, but if life happens, it’s ok. Just pick up where you left off. With homeschooling, sometimes, and many times in fact, life happens. Take it easy. Like in my previous post, I didn’t really do much with Z, but he still learned mashaaAllah. Sometimes, just reading to him helps a LOT. 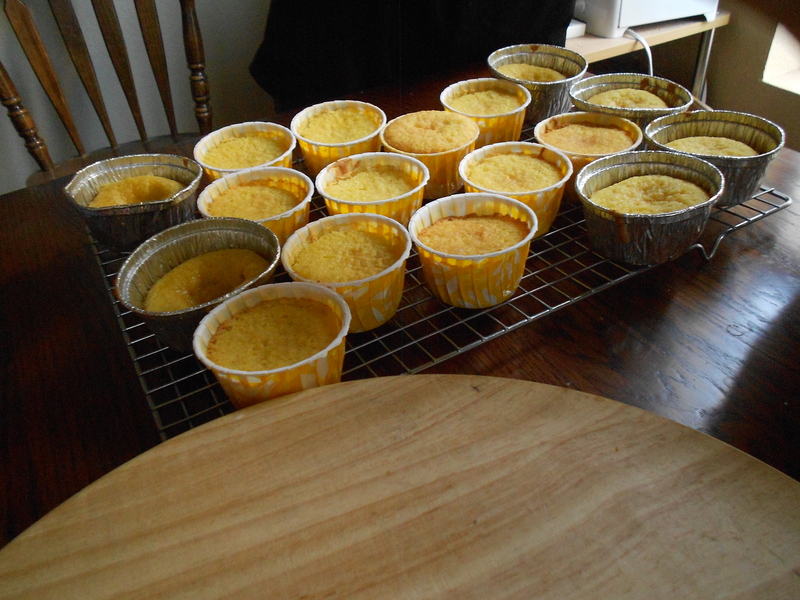 Since the kids can cook, I don’t necessarily cook much anymore, especially when I have a lot of work to do. The classes that I take and teach do sometimes overwhelm me, so after spending the morning with Z, and sometimes checking on the older kids, I have to get back to my own work and many times cooking is delegated to the kids. My schedule when they were younger is different. There were three phases; when they were all 3 and younger, and when they’re 5 and older, and when they were 5 and older and Z was a baby. Each time, I had to find out what worked for me and deal with it. And each time, I learned not take the schedule too seriously to the point of stressing myself out. However, that doesn’t mean that I don’t try my best to follow it. This ‘take it easy’ means that I do try my best to follow it, and that I have allotted a certain time frame to do a certain thing during the day, I strive to do that. If life happens, especially when you have young kids or older kids and sickness and errands, then don’t stress out over it. With me, it’s my own hifdh and Z’s schooling. Lesson => just pick up from where you left off. Today is already Friday. A week has passed by and I haven’t really done anything with Z other than tell him to do his Calendar notebook daily. This week has been crazy in doing an ‘Abu Bakr’ for Hajj. We’re still waiting for the visa, but we’re preparing nonetheless, so that if we get it, then we’re all up and ready to go inshaaAllah. So, this week I’ve just been occupied doing some stuff that need to be done before we go and next week is going to be busy too. I feel bad for Z though. He knows he has to do his Calendar Notebook and he does it, and after that he digs in his toybox and looks for things to do. I think I should take him for a walk more often. The older kids no longer want to walk with me, so maybe after this I’ll take Z with me as long as he can stand the distance. I need the exercise especially for Hajj. He did have some issues understanding that though and said while I was reading the book to him, “People can’t lift cars!” “Why is his head so small?” “I can’t do this!” (trying to stretch his neck upwards like in the book). N had her therapy yesterday and we spent an extra hour talking about what the therapist wants her to do. Subhanallah..my gut feeling has been right all along. I figured that if I send her to school thinking it would be easier, it’s still going to be the same, because she has a motivation and maybe attitude issue. Her therapist asked me to be the enforcer to make sure she does what she is supposed to do. Sigh. This has been my challenge with her all these years. I particularly hate it when people tell me to do that with her because I already am doing it. Especially last week and this and next week I won’t be able to do that, but I didn’t communicate that to the therapist. I told myself, “Well, I’ll just have to do it.” Sigh. The therapist gave her writing strategies and one particular one where she has to write down main idea and details for EACH paragraph of the book she is reading and she is reading Call of the Wild right now. It’s a significant jump of reading level from Anne of Green Gables. She didn’t look motivated yesterday and I had a talk with her, and she still didn’t seem like she was motivated. I fear she may follow in the footsteps of some of our relatives who dropped out of high school and college. Hubs has some of the issues she has in learning (not sure if you can call it learning disability) but hubs is competitive and actually likes learning while N is not competitive and doesn’t like learning. She does say she wants to write for a living though. I have to say I’m almost giving up with this child. I don’t know what else to do with her. It’s so frustrating, aggravating and just saddening for me. Loving to study, I can’t fully empathize with her and this makes me very impatient when dealing with her which probably maybe exarcebate the problem. These are one of those times when I feel like I don’t really know what I’m doing and when I feel like just leaving everything and being by myself. The stress of preparation added to this doesn’t help either. My only consolation is dua. I do feel like I do need to get away from the kids though…take a break and leave them for a while. Maybe that’s what I’ve been needing for years. I reminded her to use the Cornell method to take her notes, but I don’t see her doing it as enthusiastically as she learned it in therapy last semester. I also told her we won’t go see the foot doctor anymore because she doesn’t seem like she is taking responsibility for her own feet and it seems like we’re just paying the Doctor for nothing. May Allah help me and guide me with this child. Ameen. 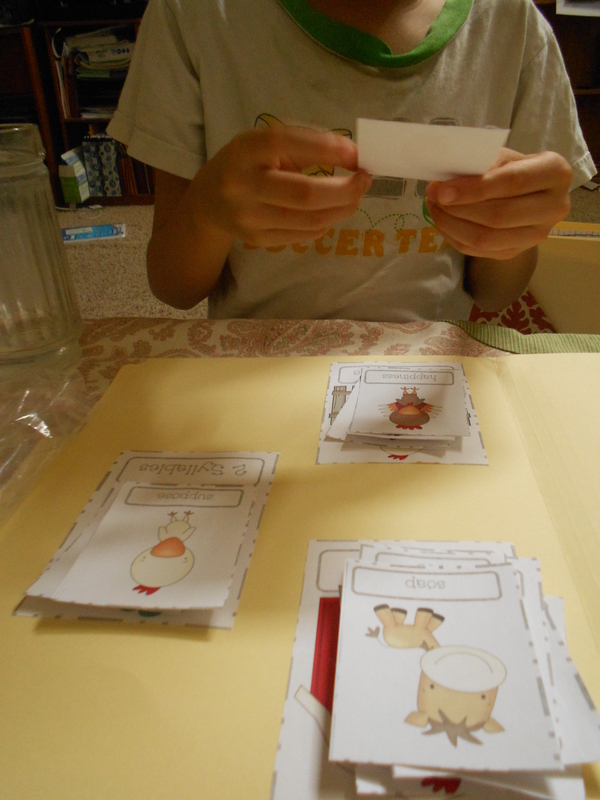 We did the Long and Short vowels file folder games, and he actually did pretty good. 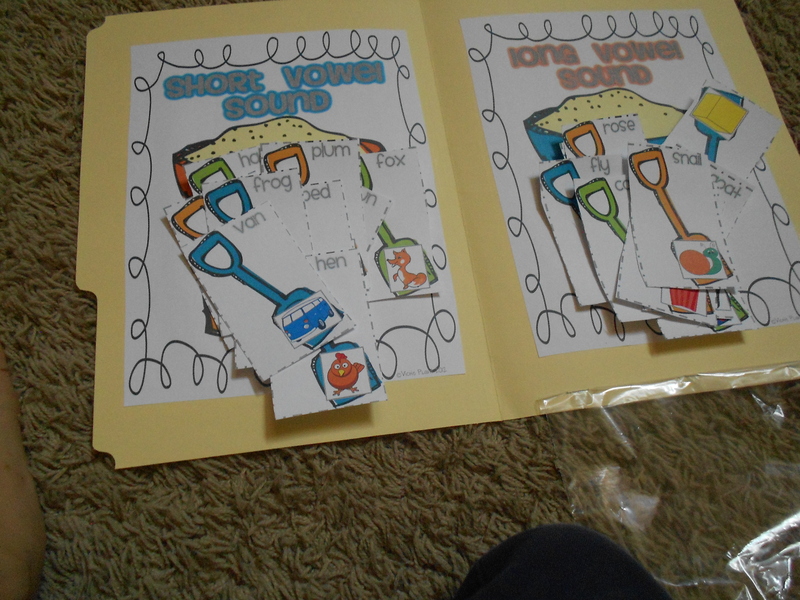 Actually we did a lot of long and short vowel activities this day. I also started going for morning walks with H today. Last week, it was with S. The only reason I’m doing this is for Hajj, which is still not 100% confirmed, but I learned that that’s how it goes for the haji-to-be in the US. I dropped S at the equine center and then we all went to the library while waiting for her to be done. She has started to volunteer there, and last week on Friday, she had her safety training. At least, I hope she is doing something she loves and craves doing while racking up volunteer hours for her high school documentation. MashaaAllah! Alhamdulillah. May this be made easier and easier. Allahu Akbar! He was a bit hesitant at first, but eventually seems to enjoy it. He got significantly better at counting by 2s today. I taught him to count 1 number with a whisper and the second one out loud. He seems thrilled by that technique, but I could see him counting mentally when he was skip counting by 2s, 3s, and 4s. With 5s, he’s pretty good already because of the minutes on the clock that he does everyday with the Calendar Notebook. He seems to have somewhat gotten the hang of Long and short vowels too. I found a couple of books at the library and read these today, and he seems to have gotten a better grasp at Long O and short O. We also did the McDonald’s Farm file folder game and he told me he didn’t want to do the Long vowels part but only waned to do the syllables part. So we did, and he seems to get it right away. But I did manage to get him to do the long vowels part anyway and he did very very well alhamdulillah. He looked grim and shook his head. And he added, “It’s like Finders keepers!” like what we had read when we read the story of Cork and Fuzz (which he loves!). So apparently, he understood this concept alhamdulillah. But alhamdulilah I’m happy that he seems to answer questions better during reading time. I was worried before about his hesitance in answering questions, but alhamdulilah now it seems like he’s ‘gettin’ with the program’. I feel like we actually did a lot today. We also did the Past, Present, and Future Tenses file folder game though by that time I was tired and we didn’t really do it all the way. He seems to still be new at the concept so that one can use more revisiting inshaaAllah. He did do a lot of worksheets today though that dealt with graph reading, measuring, addition, subtraction, grammar (singular plural verb), handwriting. I took the worksheets that I had printed last year from Learning Pages. I find it a good way to cover areas that I might not think of. At first, before, I was hesitant in giving these to him because he didn’t seem like he wanted to do worksheets, and I didn’t want to struggle with him but he seems more inclined to them now alhamdulillah. So he actually spent a lot of time on that. I haven’t been doing hifdh with him that regularly though. I realize that I tend to put off or aside things that require me to cajole and coax him to do, and hifdh is one of them. Subhanallah. On top of that, IQRA reading too. Sigh. Suffice it to say, I feel bad about this. Need to pick up with this. The 3 older kids started Biology today. Today N and H’s load significantly became heavier, because they have Biology at 8- 9am, then American History at 10:30 – 11:30 am, then Literature at 12-12:45. Starting this week, they will be very busy. I looked over N’s planner too and hope that she abides by it and disciplines herself. This is such a struggle for me and her subhanallah. It wears out my patience and I’m sure it wears out hers too. I also just realized that PSAT is coming up in October and was suddenly in a frenzy about this. S is not too happy about having to take it again. I asked hubs and he said yes, she should. So, he will register her tomorrow and so she will have to study for it again and take it while we’re at hajj (if we go inshaaAllah). I also told her to look over her high school plan for the rest of the years that she still has remaining. I worry a bit about that, but keep telling myself that Allah will take care of it because she is doing something now that is to seek His pleasure. I also realized that with S’ high school planning, I wasn’t that experienced, so a lot of her courses are poorly planned. It’s much better for N and H though. I just ask that Allah makes it easy for S’ entrance to college. I have to look into enrolling her at the local community college. I also realized that N is pretty good at vocabulary and I realized that one of the reasons why is because she really wants to learn it and as she says, “So that I’m not dumb.” I hope the therapy this semester helps her a lot biizhnillah. H is not too keen on his Worldly Wise assignments though. N is promoted by the Home2Teach instructor, so right now, I’m just waiting for H’s instructor to email me his promotion (or not), and then will register both for the next writing classes. N will be taking Writing the Hero’s Journey inshaaAllah. I’m looking forward to checking much improved essays from all of them. In preparation for Hajj, I’ve also asked around and arranged for friends to check the kids’ essay while I’m gone. I also just realized that for their American history, Biology, and Ancient Egypt assignments, I am the one in charge. Great. Somehow, Allah nurtures them and they learn anyway. All credits to Him. Alhamdulillah. It was rainy almost all day today. Z did his calendar by himself and he did a lot of worksheets after that. I grew impatient because I had so much to do today, another Dr.’s appointment and classes, and cooking. Yes, after all these years, I still get agitated having to cook while teaching the kids. We didn’t read any books today because he was dawdling with his worksheets, so ‘school’ with me ended just like that, with me leaving him because he was dawdling too much. He did good on his worksheets though. There are questions on how many more is 10 than 5. That is a new concept for him, but he kind of got it, but didn’t really like to do it. He dealt a lot with subtraction and I noticed that it’s harder for him to do subtraction and for a while he got confused while using the ones and ten rods. I really had to sit there and supervise him on it. We did Skipping to Oregon too today, and I showed him the pattern with the skip counting by 4s, but I don’t think he really got it. He quickly wanted to be done with it, so I didn’t really push it either. Lately he has been ‘scared’ of the bathroom, especially of bathing and using the toilet. I don’t know why. The older kids started their Ancient Egypt Currclick class today. S is taking it also for 1/2 credit and it is during her AlHuda break. I reminded N to use the Cornell method of note-taking in these classes. She hasn’t been using it. in the therapy, they worked on reading strategies for novels. I figured that in summer, they helped her with understanding non fiction, so this is good that they’re not working on helping her with understanding pieces of literature. May Allah put barakah in this. Ameen. She is supposed to use the neon pink notebook her therapist lovingly cycled her bike to get, and fill it with reading strategies homework that she had given N.
I want to maintain a walking routine in the early morning everyday. We started Last Friday and so far we have been doing it everyday. The only thing is, I don’t like walking too late when all the kids and parents are out for school, so it’s a bit tricky now that fajr is later. By the time we’re done with our post-fajr Quran/Arabic, it can get too late to walk outside. It has been balmy lately so it’s really nice weather for walking. Like today, we took an hour to just do the exercises for the Allama family for Arabic. I already hear a lot of cars out, and I have to take H for his shot and bloodwork, whcih has been put off so much so that today is the last day to take him for it. I’m feeling grumpy and agitated with all these doctor office visits which has been going on for 2 weeks now and will still be going on next week too. I hate having to leave the house for stuff like that. So that’s been contributing to me being snappy and yelly too nowadays. 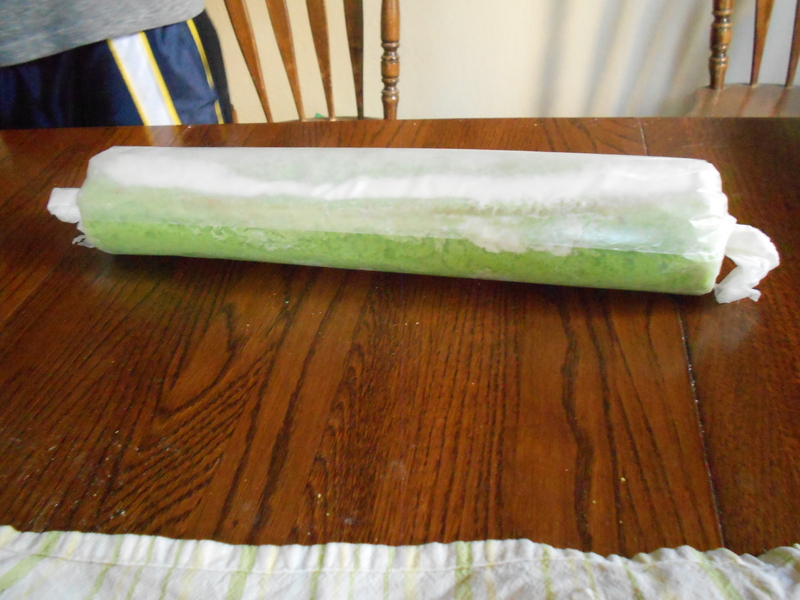 Sigh…I just hope things taper down a bit before we have to go. We read All About Eggs and What am I? He had already read these books on his own though, so the guessing was not so much guessing on his part. I did try to have him pick out rhyming words in the What Am I ? book, but he soon grew tired of it when I also asked him what vowel sounds he hears from the words. He really doesn’t like the Phonics stuff. I am contemplating whether I should continue, but I have a very strong feeling that I should because it will be needed later on, even if he already knows how to read. I did it with the older kids too and my own personal philosophy of this matter is that we should teach both. It’s just a matter of which one first to teach. Since he already knows how to read, obviously, Phonics come second, but it gets a bit strange at times because it’s like going backwards. However, it doesn’t mean it’s any easier though..not for him at least. He did a lot of addition on his own, and seems to really enjoy it too. I had him do the First Grade Sight words too, which initially he didn’t want to do. I coaxed him to do 2 pages and he seems to better grasp creating a sentence now. Alhamdulillah. So basically it seems like our ‘school’ schedule goes like this: He starts with the Calendar Notebook, and then we do various things of random choice on my part and his. There will be some days where we will read books, and there will be some days where we won’t. It all kind of depends on how I’m feeling and my work schedule. 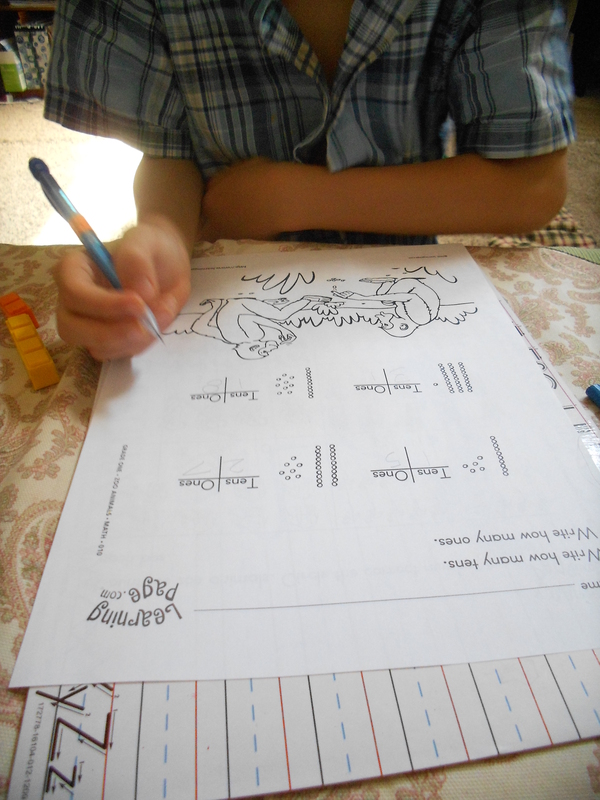 Most of our activities utilize the file folder games, and worksheets, and when I feel like it, online games. At times I will also let him watch Reading Rainbow. I have to admit that with all of this supervising, I have little energy and patience left for his IQRA and hifdh, though I tried doing it at night. With Hifdh, I need a lot of patience, as does he, but I also don’t want it to become something where I’m always angry at him for, so when I don’t feel like it, I leave it. Which in turn also makes me feel bad. As for the IQRA same thing. It makes me wistful when I think to the times when he would just come and understand that it’s part of his daily routine and bring the book to me and read it, even if he negotiates 1 line per day. Same thing with hifdh, though he’s a bit more reluctant with this one. He’s having a hard time now with Humazah ayat 4. So maybe, I should just muster up the energy and discipline to resume the IQRA with him on a daily basis. But realistically, with this hajj business coming up, I am already stressed out. So I don’t know. It makes me feel very bad that this is not a regular routine right now especially seeing that we may go for hajj inshaaAllah. Astaghfirullah…These are one of those days. I didn’t really do much with Z today though he did work on his Calendar on his own alhamdulillah. Took H for his bloodwork in the morning. I had classes back to back and by close to noon time, I don’t feel like doing much anymore. I still need to check the older kids’ work though. All wrapped up. Unfortunately we didn’t have time to take photos of when it was done. We were rushing to the halaqa. N is at surah hashr now and mashaaAllah doing good on her own accountability alhamdulillah.